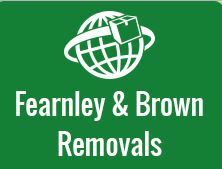 Fearnley & Brown Removals - Removals/Storage based in Cardiff, South Glamorgan. Welcome to our Checkatrade page and thank you for taking the time to have a look into our details. We believe in quality of work and we will always aim to deliver the best possible job. We are reliable, we will always aim to charge the given price at quotation. You can be rest assured that you are in good hands with our services.